He is London based inernationally known dance artist, musician, teacher, choreographer & performer. 2004 World Rueda Champion, 2003 UK Cuban Salsa Champion, graduated professor of Cuban percussion. He was born in Granma, Cuba, and grew up in Havana. He always had a big passion for music. He played in many bands in Cuba, playing different music from more traditional style of Son, rumba, Cha cha cha, Popular music to modern latin jazz and other genres. In 2002 he came to UK with the idea of popularising the Cuban roots around the word. 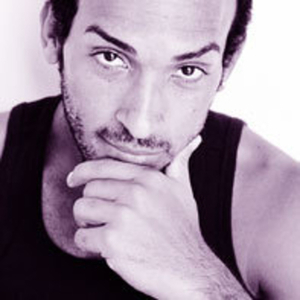 He developed his dancing and decided to fill in the lack of the live Cuban culture in UK, which became a start of his professional dance career. He incorporated in his style the street cuban salsa – casino, which he was surrounded by when living in Cuba. From the start of his career in UK , he had opportunity to work with many world famous bands, like Orishas and British music stars like Roll Deep. He was also a part of the music videos and TV commerials projects as well as sharring the stage with starts like: Sean Paul, Angie Stone and Craig David at live Kiss FM Awards. Now together with Anneta they are travelling around the world with their aim to share their Deakocan spirit, and to inspire the dancers to dance Deakocan, to dance from the heart and enjoy what cuban dances has to offer.